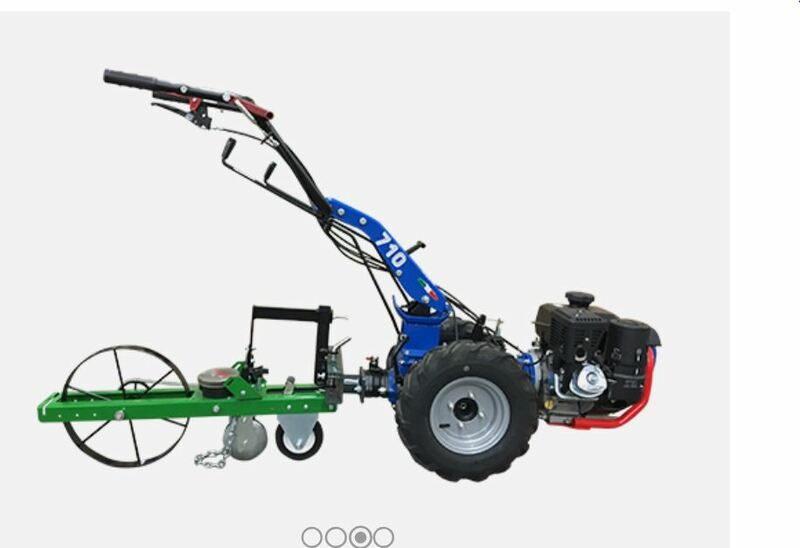 BCS and HOSS tools have partnered to produce a seeder attachment that brings ease and efficiency to the direct seeding of vegetables in your garden. Seed plates that lie flat in the hopper, ensuring accurate planting without wasting seed. 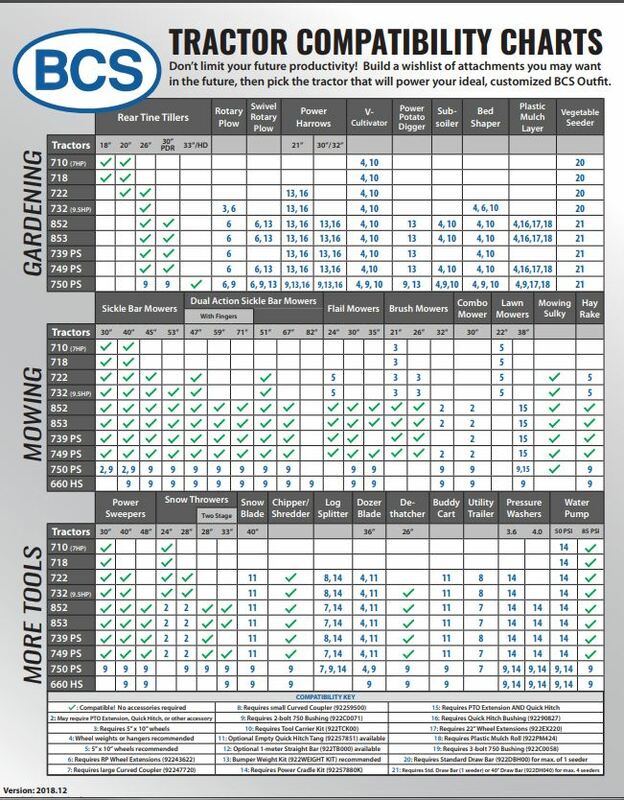 Adjustable and calibrated planting depths from ¼” to 1 ½” achieved by two rolling coulter discs that follow a small leveling wheel. Six seed plates that accommodate all seeds from small (mustard, turnips) to large (beans, corn). Optional blank plates are also available and easy to customize. 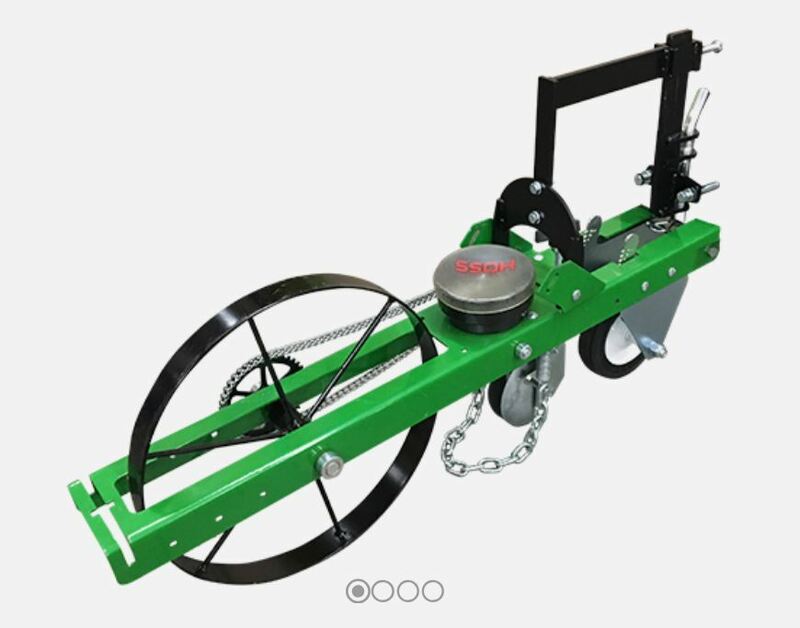 A drag chain behind the seed drop for covering, followed by a 15” diameter steel wheel to firm the ground for positive seed-to-soil contact. enables the seeder side-to-side float when planting on a contour. When planting in beds rather than in single rows, BCS wheel extensions can place the tractor wheels in the walkways. This enables multiple rows to be directly seeded within the bed without the use of strings or markings of any kind. An amazing time-saver! 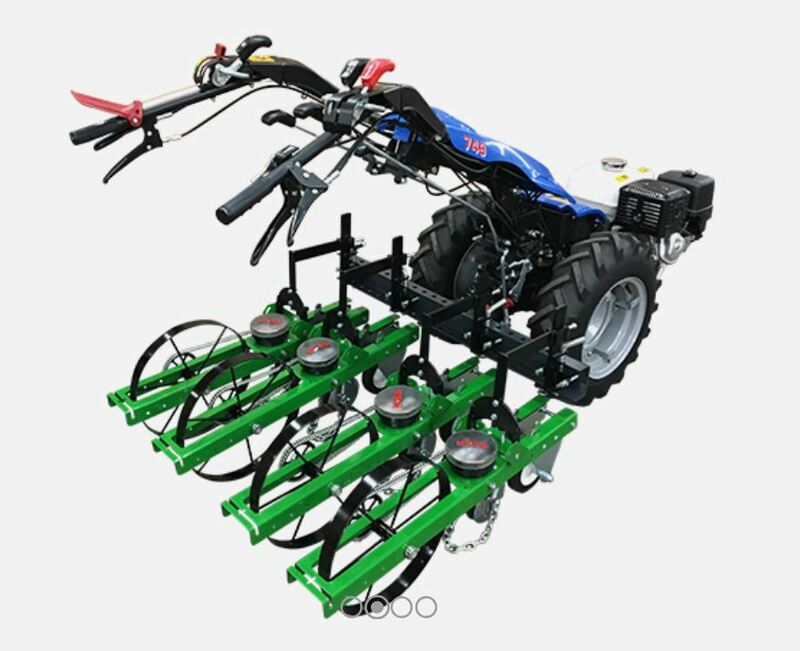 Models 710+ for one seeder, models 732+ for up to four seeders. Original seeders made by Hoss Tools and modified by BCS America. Close-in design to tractor reduces “misses”. Press wheel, coulter disc, and 15” steel wheel to cover seed. Best used with larger seeds.